One of the most magnificent bastards in video games, Kain the vampire began his undead life in the 1996 PlayStation title Blood Omen: Legacy of Kain (the game receiving the more to-the-point title of Kain the Vampire in Japan), an action-adventure game featuring RPG elements, with two-dimensional graphics and a fixed top-down camera. 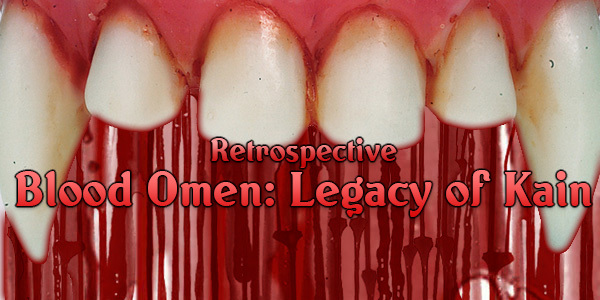 At the time of Blood Omen’s development and release, storytelling in console games was still emerging from its infancy, from the days when the plots to so many games featuring any kind of narrative followed the basic “Defeat villain + save princess and / or world = success” formula, and when characterisation carried about as much weight in the game development process as an anorexic midget. 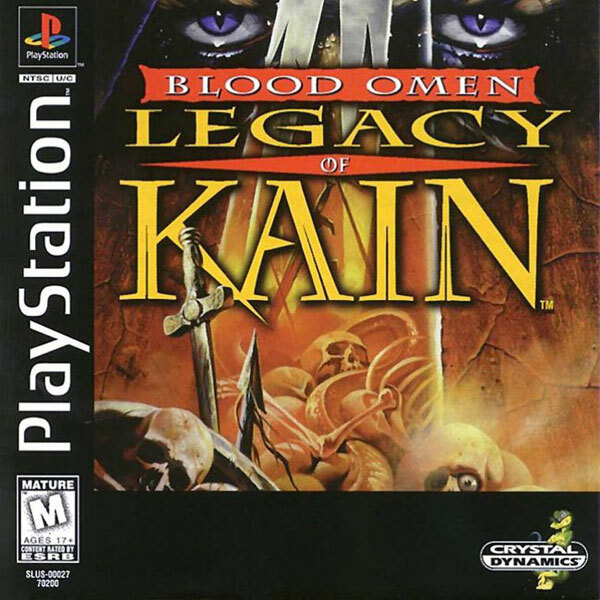 But Blood Omen and protagonist Kain were very different beasts. Story and characterisation were placed at the heart of the game right from the very beginning, with Kain turning out to be a complicated and multilayered character. Ostensibly an undead monster who fed on the living, Kain was indeed violent, arrogant, and ruthless, but there was more to him than that – during the course of the story, Kain was also shown to be intelligent, nostalgic regarding his homeland but contemptuous of his former life, appreciative of beauty, disdainful of political machinations, and afraid of transforming into an utterly twisted and depraved monster.